​Leicester City striker Jamie Vardy has admitted that news of club chairman Vichai Srivaddhanaprabha's death was tough to take, but the players are all determined to honour the chairman's life with a positive result against Cardiff City on Saturday. Srivaddhanaprabha was one of five people who were killed in a tragic helicopter crash outside the King Power Stadium following Leicester's 1-1 draw with West Ham United. As a result, Leicester's Carabao Cup tie with Southampton was understandably postponed, and the football world have come together in support of Leicester and Srivaddhanaprabha's family. 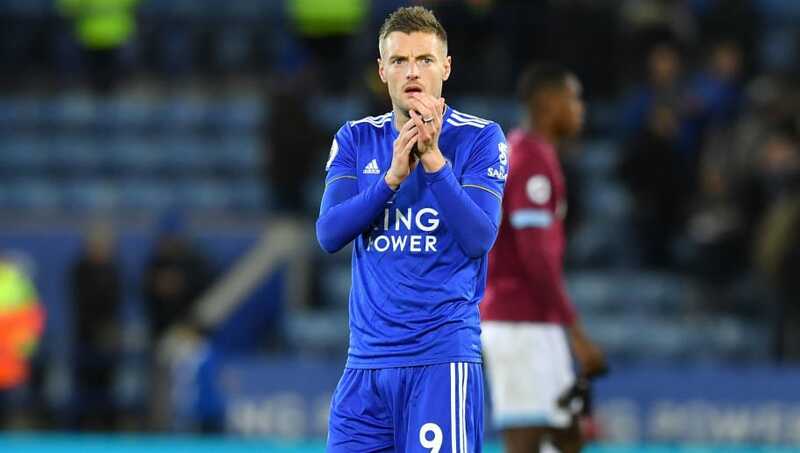 In an emotional interview with ​Sky Sports News, ​Vardy revealed that the squad are all determined to honour Srivaddhanaprabha against ​Cardiff. He said: "Everyone is going to have different reactions to it, some people will be affected more than others. "But the main thing is us all coming together even stronger and making sure we do Khun Vichai proud. We all spoke about wanting to play, it’s what Vichai would have wanted. That’s what we’re going to do. "We know what we’ve got to do, we’re going to go out there and honour his name. Put in a performance which will hopefully get the win. "I know people are saying the result doesn’t matter but for us as lads, we want to try and make it a positive result. It’s going to be tough, it’s going to be very emotional. "But with the boys we’ve sat down, had a chat, and one thing we wanted to make sure we played this game in honouring the man himself." Finally, Vardy opened up on how he has struggled to deal with the tragic news. He said: "It’s been the hardest week of my life, it really has. Obviously we’ve got the support we need. "And Top himself, he knows whatever he needs, the lads and everyone around the city, everyone is with him. We need to make sure we continue that now." ​Leicester have made a disappointing start to the new ​Premier League season, currently sitting in 12th place in the table. They have not won a match in the competition since 29 September, but Saturday's clash with Cardiff will certainly be an emotional encounter for all involved.